Your file is finally opened at the bank once your lender receives your loan package. The mortgage processing agenda consist of a credit report and any broker loan disclosures. Make sure the loan officer has all of your contact information on your loan file in case you have any missing documents. To help speed up this process, send as many organized documents as you can. Most lenders will not process a loan file until all the needed documents are obtained. This even includes the appraisal and sales contracts! With new banking procedures that will not allow the lender to begin the loan process without the borrower signing disclosures regarding your credit, loan type, and frees, make sure you sign and return any disclosures. 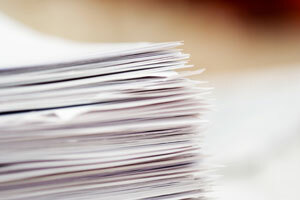 You may even get a disclosure with the information inaccurate, but the lenders will still need you to sign regardless. Although this is annoying, know that the fees and costs will be accurate before you close.